There is a cocktail for every occasion. Whether if it is a Christmas party or a summer party, there is an appropriate alcoholic beverage that will liven up the guests and the party. While it is usual to see your friends drunk, trying to text their exes or dancing like no one is watching, we all have friends who don’t drink. Some people choose to stay away from alcohol while still having fun. There is nothing wrong with just enjoying the company of the people around you and the music. But for those friends, the usual options are ginger ale or soft drinks or worse, just water. We have gathered a couple of perfect non-alcoholic party drinks for those friends who don’t want to consume alcohol or even the kids that will attend your party. These drinks are also perfect for a kids or teens party! Grown-up looking drinks without the intoxicating alcohol. The best news for adults at this party is that if you add a shot of alcohol in your glass before pouring the non-alcoholic party drink in, you’ll have yourself a cocktail, from a mocktail. 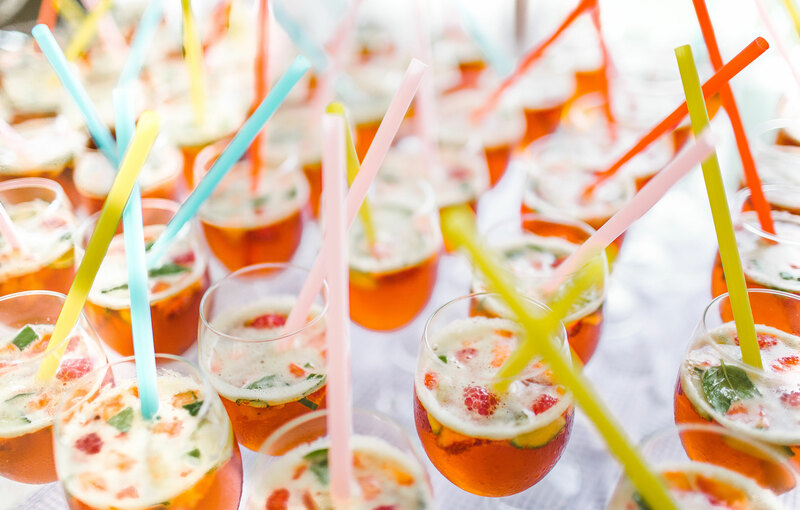 Non-Alcoholic party drinks are often called mocktails which is a super cute and appropriate name on its own. If you have a adults and kids party coming up like a pool party or a family get together, make these drinks in big pitchers or a punch bowl and just let the adults know they can add the alcohol in as shots if they want to. Both the kids, pregnant ladies and the friends and family who don’t drink alcohol will be happy and with only a little amount of work, these can turn into alcoholic drinks. Taco Tuesdays are much more fun with margaritas and this delicious drink is one the non-drinkers shouldn’t miss out on. This classic cocktail can be turned into a refreshing party drink by switching the tequila with Limeade, making the drink so much sweeter and nicer. The recipe only makes one, but you can calculate how much you need for however many people are coming over and mix it all in a big pitcher. To make the drink alcoholic, add half a shot of tequila to the glass before serving. Fun is the first word to describe this drink. You can serve it in a punch bowl or be original and carve out a large watermelon to use it as a punch bowl and serve in a pile of ice. Such a great look for a summer kids party or a bridal or baby shower. Having alcoholic drinks at a baby shower when the pregnant mother cant drink is a little rude, but people still do it. You can consider the non-drinkers and the soon to be mommy and make this slushy punch instead. For those that would like it to be alcoholic, add a shot of spiced rum in the glass before serving. Mix the water and the Jell-O packs in a bowl until the powder is dissolved. Add sugar and mix until dissolved. Sangrias are delicious, they look absolutely gorgeous and they are the kinds of drinks that keep on giving! You can serve this drink at any gathering you want. Non-alcoholic sangrias are just the perfect drink for a girl’s night or brunch, any study gathering where you need to stay awake but want it to still be fun or basically anytime you would like to drink some sangrias but need to get up early in the morning or make sure that you’re not hungover later in the day. The regular sangria is a great way to spice up your wine but the non-alcoholic, and immediately healthier version is just as tasty. It is a mix between vitamin water and fruity ginger beer. Don’t cover the top of your pitcher if you would like the fruit pieces in your glass. You can also call it the no-headache sangria. We recommend serving this in a big, clear pitcher and wine glasses. The good news is, it is super easy to make this drink alcoholic with a shot of vodka in each glass before serving and mixing it with a straw gently. It is also super easy to make a regular Moscow Mule non-alcoholic and adding a little fruity twist for added flavor. We chose the deep, sweet yet savory taste of blueberries to make this virgin beverage. This is a wonderful example of a mocktail. Is your teenage son graduating from high school or got into his dream college? Let him and his friends celebrate like real gentlemen with this mocktail and a shot of your favorite vodka in your glass. Also perfect for showing your friends and family that you can have a classy, adult drink without having to indulge in the extra calories and extra headache and dehydration. You can choose to serve your non-alcoholic party drink in a whiskey glass or even copper or transparent mugs for a more butch look or serve it in a champagne flute if you’re feeling fancy. So, if you’re worried about your upcoming party guests who are religious, so they don’t drink or a play date with a couple of mommies, or just want to add a fun surprise for your non-drinking friends, worry no more! These mocktails will be something your guests will be talking about for a long time. 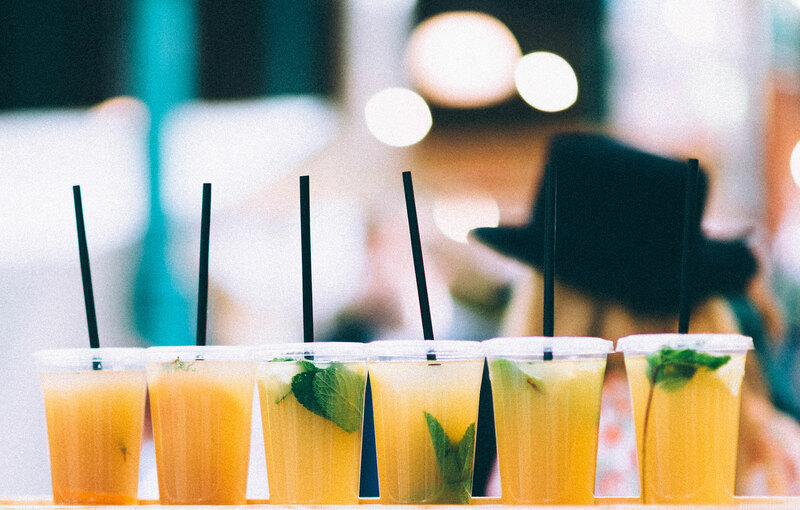 Play around with the recipes to see which way you like your non-alcoholic party drinks.